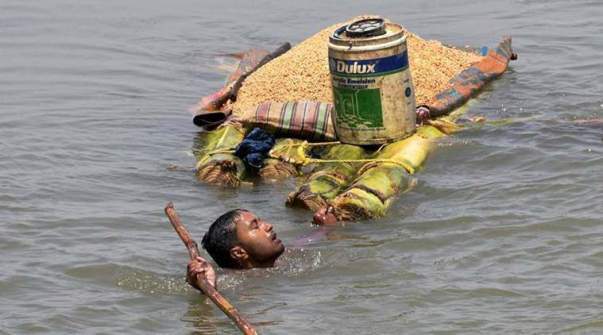 This is an urgent appeal to help the victims of sudden floods in North Bihar. In the floods over the last two weeks, Araria, Kishanganj and Purina have been worst affected by floods. 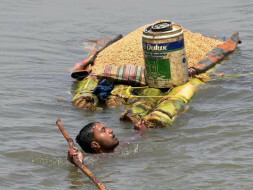 Bihar reeling under, the worst floods in 100 years. Over 500 people died, More than 1.2 Cr affected in 4 districts. Thousands of victims are in desperate need of relief supplies. We are on the ground, providing food and medical assistance to the affected people. We are working to provide food, medicines and basic supplies and assist in reducing the difficulties faced by the citizens of Kishanganj, Bihar. We express our heartfelt support towards everyone in Bihar affected by this calamity. Help our flood relief efforts by making a contribution. It has been reported that 1.2 Cr people have been affected. The main hospital shave become defunct as they have been completely submerged under water. Reports are in of over 50 bridge shaving been completely washed away and the water supply lines also destroyed. The floods have destroyed everything from homes to hospitals to basic food supplies. The people of Kishanganj need rescue and rehabilitation on a huge scale. But neither media nor Government is focusing on these areas. Our goal is to raise funds to help buy the essential lifesaving items like rescue equipment, medicines, and commodities in India. We will continue to keep everyone updated as we make progress in our rehabilitation process and if you have ideas and suggestions, please let us know. Together, we will make a difference. 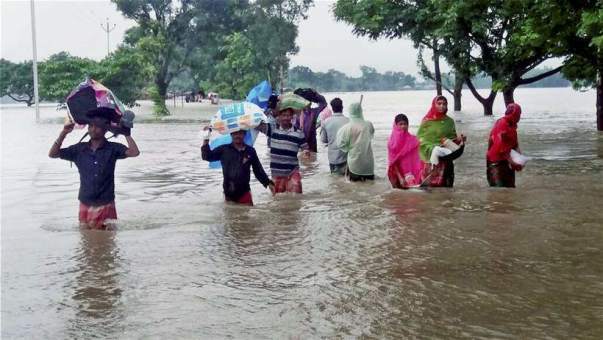 About two lakh flood-affected people are living along national highway (NH)-31 and thousands other have taken shelter on Mahananda embankment in Purnia district. Please donate generously as the task ahead is huge and will only become clearer as the waters begin to recede. Thank you each one of you for your contribution in this noble cause. UPDATE FROM GROUND - Relief work is going on…community kitchen for food, distribution of dry ration and medical supplies, distribution of tarpaulins and of other necessary hygienic stuffs, spray of bleaching powder, medical assistance for sick people and livestock are being extended to people in the flood affected area. We have a flood update for you and some insights into our ongoing work. 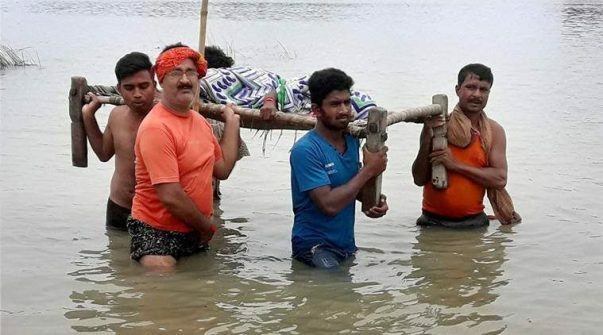 The water levels from Kishanganj have receded. In some tolas there is still some water. According to government estimates, 1.2 Cr people have been affected by these floods. 550+ people have died. People here say they have never experienced floods of such an intensity before in Kishanganj. All roads, bridges have been affected, some of these have collapsed thereby destroying connectivity to some villages. Access to 4 blocks have been completely cut off. Agriculture, crops, household items have been destroyed. Our effort has been to reach basic food items to people's houses, and to ensure that the problems of the people reach the authorities; Our attempt has been that government relief work and arrangements remain accountable to people. 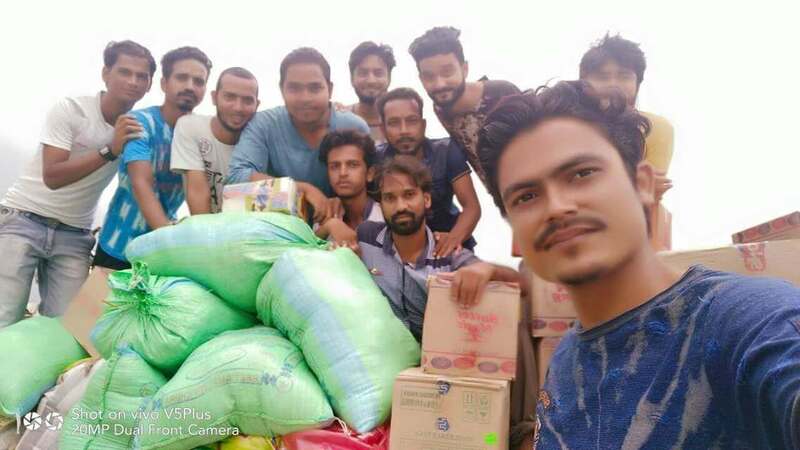 With the help of all your support, so far, we have been able to distribute dry rations (chooda, moodhi, daalmot, biscuits, bread) Apart from this we have been visiting relief sites and communicating the issues faced by the people there to the authorities. Thank you everyone for your contribution. We are helping the people who are helpless. Our team is working very hard day and night even in the odd weather. Yesterday, we have distributed Bread, Chura, Biscuits, Sattu among the 150+ families. We will reach to more families today and tomorrow. We are also distributing candles & matchboxes.